FUN FACT: The Stegosaurus dinosaur measured up to 30 feet long but had a brain the size of a walnut. "We visited for the first time last weekend, but really look forward to spending more time there. We just love to do fun things together, and watching our two year old see and do things for the first time." "Its a great place to spend the day, learning AND having a blast. We always learn something new and different. Our kids love being there. Too bad we live in Montgomery or we would visit much more often." "Our grandchildren live in Huntsville. 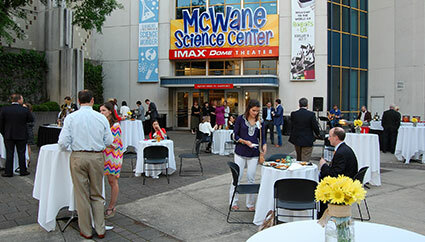 Part of the anticipation of coming to Nana and Papa's is knowing we will visit the McWane Center."